The radio program, The Whistler, was first heard over the airwaves on May 16, 1942. The Whistler was part of the CBS radio network, sponsored by the Signal Oil Company. This radio drama was broadcast primarily on the West-Coast of the United States. The Whistler. The Chicago version was sponsored by Meister Brau Beer. The Whistler radio program was famous for it's opening (which included someone whistling and making footstep sounds). 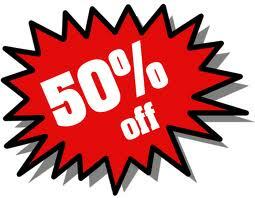 Then, the Whistler's voice would narrate the featured story. Bill Forman is considered to have played the Whistler the most. The character, known only as the Whistler, was the host and narrator of the tales, which focused on crime and fate. He often commented directly upon the action in the manner of a Greek chorus, taunting the characters, guilty or innocent, from an omniscient perspective. The stories followed a formula in which a person's criminal acts were typically undone either by an overlooked but important detail or by the criminal's own stupidity. An ironic ending, often grim, was a key feature of each episode. But on rare occasions, such as "Christmas Bonus" broadcast on Christmas Day 1944, the plot's twist of fate caused the story to end happily for the protagonist. On September 22, 1955, The Whistler ended it's run on radio. 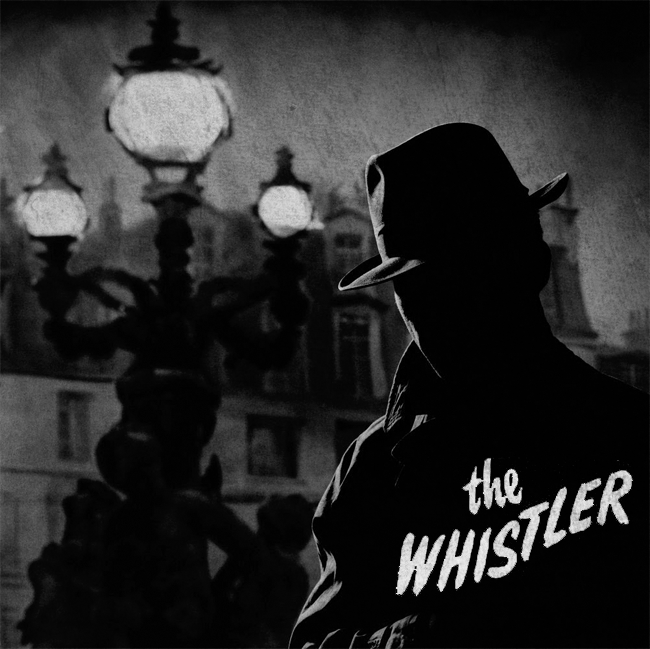 The Whistler, I consider, one of the finest dramatic radio programs ever produced. Listen and enjoy....THE WHISTLER! The Mysterious Traveler was first heard on the Mutual Broadcasting System on December 5, 1943. The program aired stories that were written from various genres of fiction. Some episodes were science fiction in nature, some were fantasy, and some were crime dramas. Robert Arthur and David Kogan wrote and directed the episodes for The Mysterious Traveler. Maurice Tarplin, who played the title role, narrated the tales (much like the The Whistler radio program). Each week, Mr. Tarplin invited listeners to take a journey on a train headed "into the strange and terrifying" world of fiction. The haunting wail of a distant locomotive provided great atmosphere (and imagery) for the listening audience. Jack Ward, a NBC organist, played sinister sounds from his organ during Mysterious Traveler broadcasts. The Mysterious Traveler aired on radio station, WOR. WOR was the New York flagship station of the Mutual Broadcasting System. Mutual was considered one of the "Big Four" national radio networks during the golden age of radio. On September 16, 1952, the last episode of The Mysterious Traveler aired. 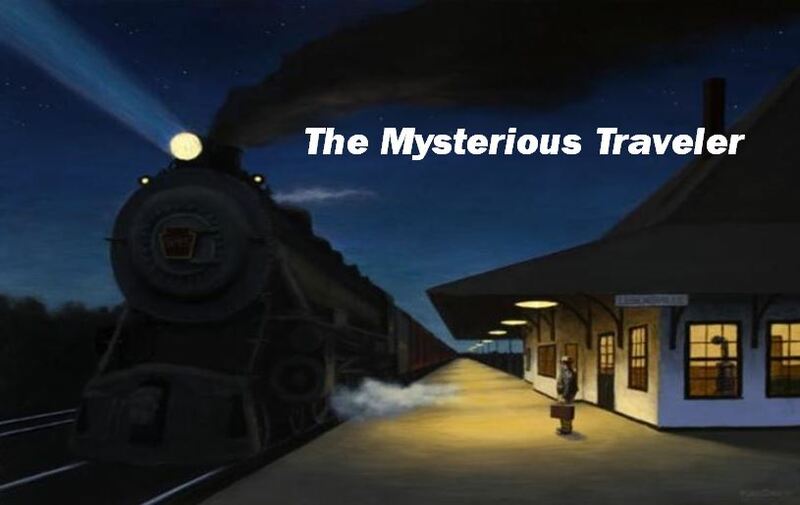 There were over 300 episodes of The Mysterious Traveler program. At the moment, only about 70 episodes survive in circulation. All known episodes are included on this DVD.